If you clicked on this article, then you plan to be in the hallowed company of names like Christopher Columbus, Thomas Alva Edison, Benjamin Franklin, Abraham Lincoln, David Bowie, Russell Crowe, and Eminem among others. All of them are self-taught. So join the club if you want to beat back the robots that want to take your job. You have to do most of the work on your own. Unfortunately, our schools don’t prepare us for it. Yes, they tell us what to learn but never the how to learn. Learning to learn is a complete other skill set. The internet is an Aladdin’s cave for anyone who wants to master a subject. But you need a set of mental tools to beat the obstacles that will come your way. The bandits will come in the familiar garb of time poverty, forgetfulness, loss of motivation, and as life itself. 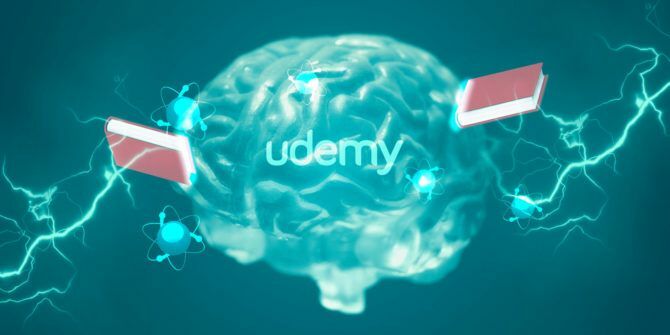 These five courses from Udemy could just help you beat them back. Discover: How to avoid the traps that most online learners fall into. An online course can be a mousetrap. You enter with high expectations and then scramble for a way out. It is easy to enter and easier to exit. The reasons are common — you are unprepared to learn and unable to manage time. That is why online courses haven’t been able to spark the renaissance that education is crying out for. But if you are a motivated learner, video courses will fill in the missing blanks. You just need a few easy skills to master an online course 5 Study Skills Every Online Student Needs to Have for Beating Failure 5 Study Skills Every Online Student Needs to Have for Beating Failure It's not the content, the professors, or the assignments by any means. Actually, it's the format. With online courses, everything relies on you. There's no schedule to follow, no classes to sit through, no professors... Read More and not contribute to the failure pie. Instructor Katya Ebberson dives into the techniques and tells you to stop watching educational videos like a movies. An underestimated reason for success is picking the right course in the first place. Also, studying from an online video course is an exercise in self-motivation and time management. You are alone. You will be armed with the awareness the next time you opt for one. So, take the actionable steps and maximize your learning. Recommend your experience to anyone who is trying to learn online. Discover: How to enjoy learning and be better at it. You don’t need to be a Tim Ferriss and risk hundreds of dollars in a five-day experiment to learn poker. You could just pre-read a topic before entering the class. Or you could try the fix-in-the-mind properties of a mindmap 8 Free Mind Map Tools & How to Best Use Them 8 Free Mind Map Tools & How to Best Use Them For an office worker, a mind map can be a solo brainstorming tool or a collaborative idea collection. In the right hands, a simple mind map can help make better decisions. Read More . In short, think about the way you learn. As a self-learner, you must create your own environment for learning a topic. The secret to learn and remember are in the methods that works for you. Barry Mapp has bits of advice for effective learning in this course. Two and a half hours could be the magic pill you need to find joy in learning again. The course is an introduction to Accelerated Learning. Appreciate how the brain functions when fed with new knowledge, and how you can use the natural brain cycles to soak up any subject. I am sure you will regain the joy once you develop a greater capacity to adapt with any material in front of you. Tell us in the comments about any accelerated learning technique that has worked for you. Discover: How not to forget names, dates, presentations, speeches, and anything else. Not everyone can be an Ethan Hunt with an eidetic memory. So how often have you felt frustrated at not able to recollect a joke or a line from a poem? Or the names you couldn’t connect to the faces in your brain? Today, we have outsourced the power of recall How to Easily Organize & Remember All the Life Hack Tips You Read How to Easily Organize & Remember All the Life Hack Tips You Read We forget things if we don't repeat them. That's bad news for the endless words of wisdom we read every day. 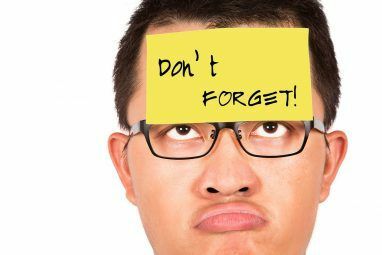 The good news is that forgetfulness can be beaten. Read More to a search engine but memory skills are vital for everyday function. The bad news is that memory needs exercise. The good news is that someone can coach you through it. The better news is that it won’t take much time. Tom Weber is a memory recall training expert and he will help you boost your flagging memory with some creative tips. The course is a live workshop recorded in Chicago. The course starts by measuring your baseline performance and then takes you through the different tools. This course is recommended for anyone who wants to learn anything in life. Without the stress. Discover: How to boost your focus for better study. Focus is the one secret to time management Time Blocking -- The Secret Weapon For Better Focus Time Blocking -- The Secret Weapon For Better Focus Are you looking for a more efficient way to organise your work-days? Try Time Blocking. This time management tactic can help keep you on track while keeping distractions, procrastination, and unproductive multitasking at bay. Read More which eludes us as we go hunting for systems. Through your school and college years, you would have discovered this mindset in top performers. As a student, you must tune out all distractions. Little things like the clutter on your desk can leech away your concentration powers. The advice for this is clear as a bell. This course makes it more straightforward. Brett Bergen takes you through a two-hour study routine. You can borrow or improvise the strategies he suggests. Something like prioritize and balance your workload is useful for all situations. You might need to tweak the test-taking tactics to suit your environment. But the end game is to maximize the time you spend buried in your books and shore up what you learn. Discover: Why “how” to think is far more important than learning “what” to think. The latest spurt of fake news around the world will be the fresh battleground for your critical thinking skills How to Build Critical Thinking Skills in Just 5 Steps How to Build Critical Thinking Skills in Just 5 Steps Critical thinking might be the solution to the problems of the information age. It's definitely a good habit to get into. Take these five basic steps to start thinking effectively. Read More . Do you have it in you to challenge your own thoughts and peel away the layers? Today, IQ does not matter. Emotional intelligence and the mutant agility to find the right answers do far more. And if you want to learn how to think, you have to keep on learning. That is why this course is not about philosophy but it is about developing your own tools for critical thinking. Start with the connection between logic and debate. Understand the need to build background knowledge for critical thinking. Get an idea of your beliefs and how you make decisions. Critical thinking is not an easy idea to absorb but you can take the lessons learned to any everyday decision and make better ones for the future. As the screenshot above shows, critical thinking also makes you a better communicator. Follow the methods that brought you success in the past. Maybe, you like to learn with the help of podcasts or videos. Sketchnoting or mindmaps may help you break down the roadblocks. There is a solution for every learning problem you meet on the way. 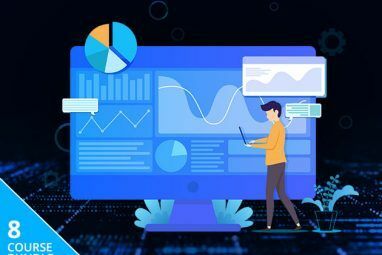 And a million places to learn something new 27 Fantastic Learning Websites You Might Have Missed 27 Fantastic Learning Websites You Might Have Missed Many fantastic educational websites that fly under the radar. Thanks to the breadth of knowledge from these twenty seven sites, lifelong learning is a smoother journey. Read More . Have you stumbled while learning something new? What did you learn from it? Would one of the courses above helped? Explore more about: Education Technology, Motivation, Online Courses. MUD - "That is why this course is not about philosophy but it is about developing your own tools for critical thinking"
Hows does one study general and fundamental problems without critical thinking ?